Do you want to know more about those Canadian cars to show some national pride? Well good news for you, we found a list of Canadian car brands. These automobile manufacturing companies of Canada are improving on their technologies, and might be capable in the future for entering a global market. These are all the Canadian car brands names we could collect for our list. We share with you their data and logos, enjoy! 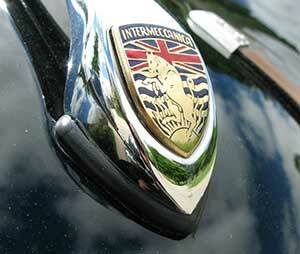 Intermeccanica is an automobile manufacturer that was based in Torino, Italy, but then moved to Canada. 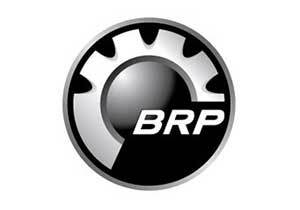 The company is currently under control of Frank’s son, Henry Reisner, and specializes in manufacturing performance automobiles with large v8 engines. Some of the most popular vehicles introduced by the company include the Griffith 600 Coupe, Italia Spyder, Indra, and Kubelwagen. The company has now also begun production of speedsters and roadsters and remains one of the top auto manufacturers in Canada. Once part of Bombardier Inc., the Bombardier Recreational Products or simply known as ‘BRP’, is a Canadian automobile manufacturer that specializes mainly in producing snowmobiles, ATVs and motorcycles. The company has a legacy of innovative car technologies and has also introduced SportBoats and a variety of other unique vehicles. As of 2007, the company succeeded in reaching 17th place in the Greatest Canadian Invention for their Sea-Doo automobile-boat. Some of the best creations of Bombardier include the B12, the J5 tractor and trailer, and the BR180 Snowcat. Campagna Corporation, also known as “T-Rex Vehicles”, is a Canadian automobile manufacturer founded in 1990. The company is known for producing the most reliable and strong T-Rex type vehicles, which have two-wheels at the front and one-wheel at the back. 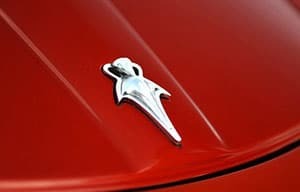 Campagna, although has been AWOL for a while, is known to be one of the top car manufacturers in Canada having introduced the T-Rex heritage of vehicles. Prevost is a Canadian automobile manufacturer based in Quebec, Canada. The company was founded way back in 1924 and manufactures commercial vehicles, such as heavy buses and coaches. The company now owns the bus manufacturer, Nova Bus. As of 2007, the Prevost is known to have more than 1,300 employees that operate in six different parts and service centers around North America. Some of the best creations of Prevost include the Prevost X3 (New York City Transit) and H3-45 of Tai Pan Tours. 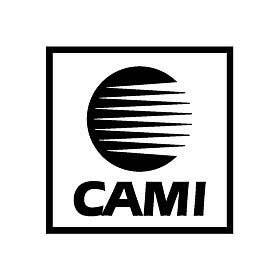 CAMI, abbreviated for “Canadian Automotive Manufacturing”, is an automobile manufacturer based in Ontario. The company specializes in producing SUVs and CUVs and currently has more than 2,772 employees. In 2005, the company finished 3rd for best truck assembly in North America and has more than 45 assembly plants. 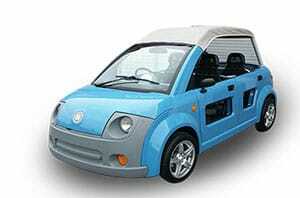 The Dynasty Electric Car Corporation is a Canadian Automobile manufacturer of electric vehicles. The company specializes in manufacturing vehicles for the light, urban and recreational commercial markets and has a range of five different types of electric vehicles, including a van, mini-pickup, sedan, and two other convertible versions. Most of the vehicles introduced by the company have a low curb weight and are popular in almost 47 states of the US. However, the company is now owned by Pakistani automaker Karakoram Motors, but still has its production plant in Canada. HTT Automobile is a Canadian sports car manufacturer that was founded in 2007. The company is known to produce the first Canadian sports car to ever be made which was debuted in the 2007 Montreal Internation Auto Show, the HTT Plethore. The vehicle is 2-door and comes equipped with a 6.2-L V8 engine with 6-Speed Tremec Manual transmission. For now, the company hasn’t introduced any new sports car, but there have been rumors about a redesigned version of the Plethore. ZENN Motor Company is a Canadian automobile manufacturer that specializes in producing neighborhood electric vehicles or low-speed electric vehicles. The company was founded in 2000 and was first named ‘Good Cars’. As you can see from the picture above, ZENN is an acronym for “Zero Emission No Noise” and that’s exactly how their vehicles are built: extremely quiet with zero carbon dioxide emissions. 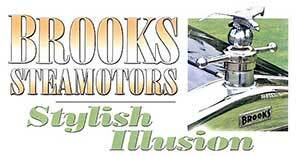 Established in 1923, Brooks Steam Motors was a Canadian automobile manufacturer of steam cars that closely resembled those of Stanley Steamers. The company was formed when the Detroit Steam Motors Corporation came to an end and is known to have introduced many vehicles with steam engines, but then shifted to normal petrol and diesel engines. Brooks also created a department that specifically introduced steam buses. However, it was unable to succeed after World War II and was dissolved in 1936, but was eventually demolished in 2001. 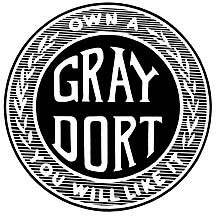 Gray-Dort Motors was a Canadian Automobile Manufacturer founded in 1855. At that time, the company didn’t exactly manufacturer automobiles, but had a carriage works business. However, later in the mid 1900s, when William’s father started building Ford bodies for the Walkersville factory, the company shifted its interest into automobiles. In 1915, the company formed a partnership with Flint and produced two cars, namely the Model 5 touring car and the Model 4 Roadster. Later, in 1923, the company went through a financial crisis from which it was unable to recover, thus causing it come to an end in 1925. Similar to Gray-Dort, even the McLaughlin Automobile company started off with a carriage business. The company was successful and produced more than 25,000 carriages per year. 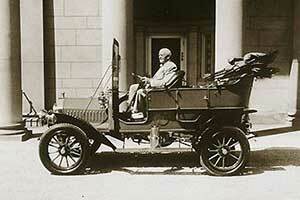 In 1907, the company started manufacturing automobiles and had gained a lot of sales and profits. McLaughlin then acquired the Chevrolet Motor Company of Canada and in 1915 decided to merge both companies to form General Motors of Canada Limited. Therefore, this brought about the end of McLaughlin Automobile. We hope you liked our compilation of Canadian car brands. Feel free to comment below, if we missed out on any other auto production companies in Canada. Don’t forget to share with your friends to increase awareness about these Canadian cars among your friends.